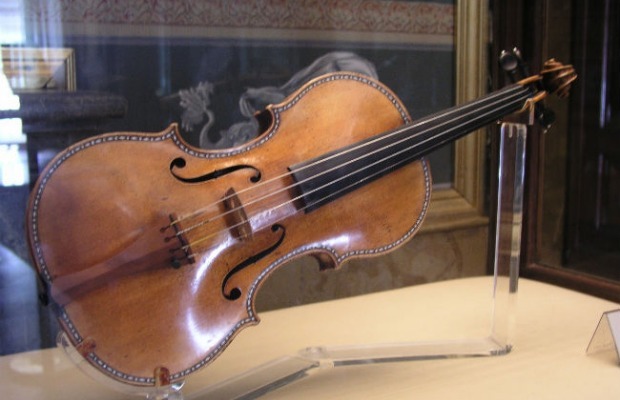 According to Billboard, the man accused of stealing a 300-year-old Stradivarius violin plead guilty to the robbery. The instrument, which Billboard gives a value of $5 million, was stolen from a musician who was attacked with a stun gun eight months ago. When sentenced on November 10, Salah Salahadyn could face up to 10 years in prision. The other person charged in crime, Universal K. Allah, was sentenced to three-and-a-half years in prison after pleading guilty earlier this year. Stradivarius violins were crafted by renowned Italian luthier Antonio Stradivari. Many are owned by private collectors who lend them to top violinists to be played in symphonies. Experts say a Stradivarius violin deteriorates if it's not used but remains in good condition when played regularly. The owner of the stolen violin has remained anonymous. But she filed a victim-impact statement when Allah was sentenced, extoling the virtues of the Stradivarius, calling it a direct link to history. Here’s a look at another Stradivarius, which has been stolen twice itself.